Can I translate my widget into another language? Of course you can! The wording in your widget is customizable and can be changed directly in the widget itself. Of course you can! The wording in your widget is customizable and can be changed directly in the widget itself. You can also use this section to customize the wording of the widget even if you want the text to be displayed in English. 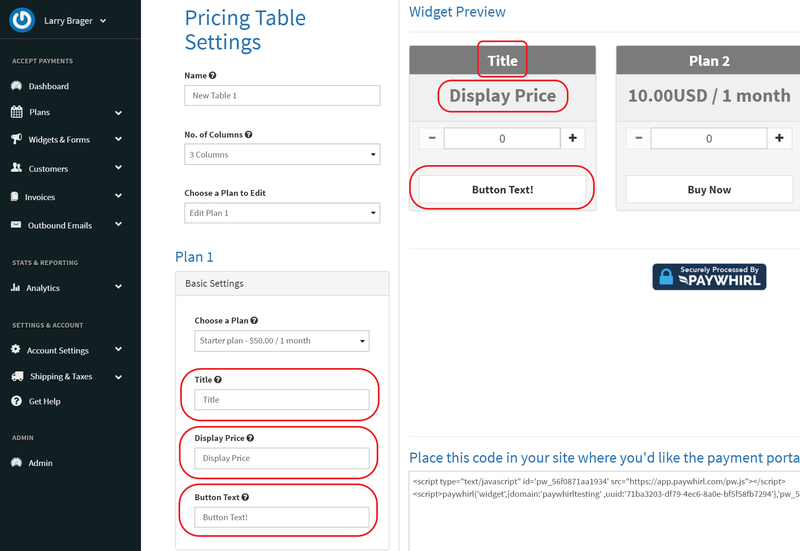 Each plan in the widget can be customized to have different text. 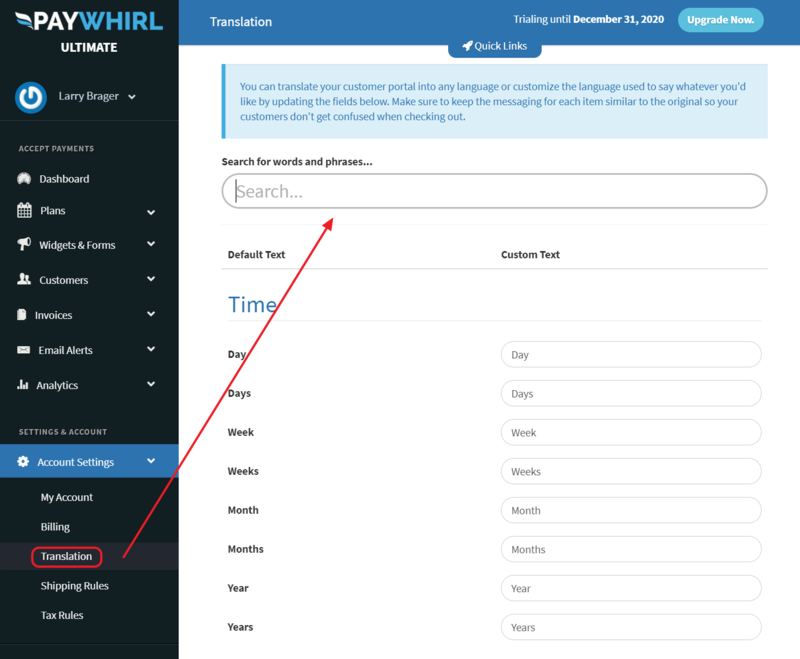 With PayWhirl you can translate every aspect of the customer experience. Including the customer portal. This can be done in Account Settings under Translate. You can even search for exactly the word you need to translate.